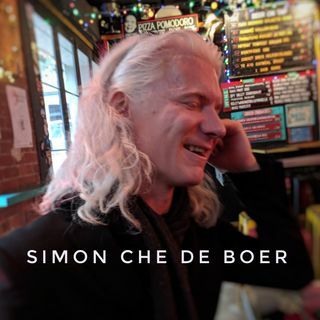 Simon Che de Boer is a rockstar ... no, not because he looks like one, but he truly is in the world of virtual reality. His self-taught techniques, use of open source, and sheer amount of work he puts in has meant there is no-one on the planet is able to create the level of hyperreality that he can. Just ask his fans all over the world, including many production companies, major software companies, hardware vendors, and fellow AR/VR creators. Now, with any rockstar there comes a heartfelt ... Más informaciones background, a story of ups and big downs, and of resilience and overcoming the arrows of outrageous misfortune.